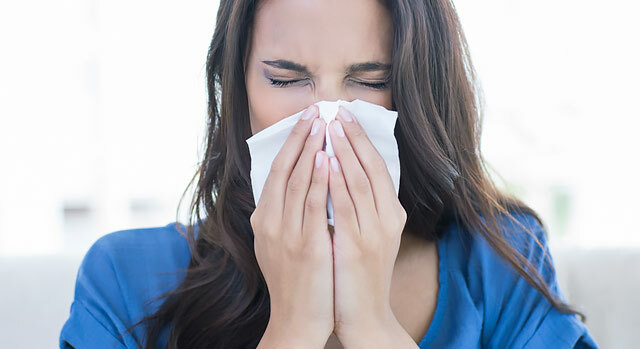 If you suffer from chronic or recurrent sinusitis and sinus infections, you may benefit from a procedure to open blocked nasal passages. The procedure, called balloon sinuplasty, is an innovative and minimally invasive surgical technique in which surgeons use a small catheter and a balloon to quickly open and expand blocked sinus passages, restoring normal sinus drainage and function. Modeled after the balloon angioplasty procedure that cardiologists use to widen the clogged coronary arteries of heart patients, balloon sinuplasty uses an endoscopic sinus balloon catheter that is threaded into the natural opening of a blocked sinus passageway. When the balloon is inflated it creates a gentle restructure and enlargement of the sinus passageway without traumatizing the tissue and resulting in a rapid recovery for the patient. Safe and Effective – While the use of any surgical instrument involves some risk, clinical research has indicated the balloon sinuplasty system to be safe and effective in relieving symptoms of sinusitis. Minimally Invasive – The technology uses small, soft, flexible devices that enter entirely through the nostrils. These devices gently open blocked sinus openings, and in many cases, without tissue or bone removal. Reduced Bleeding – In many cases, no tissue or bone is removed when using this technology so there is often reduced bleeding associated with the procedure. Improved Recovery Time – While recovery time varies with each patient, many people can return to normal activities within 24 hours. Does Not Limit Treatment Options – This technology is an endoscopic tool and may be used with other medical therapies or sinus surgery techniques. It does not limit future treatment options if you have progressive disease. A thyroidectomy is the surgical removal of part or all of the thyroid gland and is used for three major reasons, the most common reason being the development of a suspicious lump within the gland. Minimally invasive thyroidectomy usually consists of an incision smaller than two inches long. Once the incision is made, the thyroid is mobilized into the wound and the blood supply is controlled. Before extracting the specimen, nerves are localized and preserved. Generally, patients have little to no discomfort after a minimally invasive thyroidectomy and can be discharged from the hospital within 24 hours. Drainage tubes are usually no longer needed. The majority of patients experience less pain and a more rapid recovery when they have had surgery using these techniques. These procedures commonly use smaller incisions that fade over time and become almost unnoticeable. After the surgery has been completed, most patients are discharged within 24 hours. Most patients will be able to return to normal daily activity at a rapid rate and experience minimal scarring. Patients are advised to follow up with their surgeon one to two weeks after surgery, and can usually return to work much faster than the patients who undergo traditional thyroid and/or parathyroid procedures. Until recently, surgery to remove head and neck tumors often resulted in large incisions and long recovery times. Specially trained surgeons at Summerlin Hospital use minimally invasive robotic surgery to treat tumors with smaller incisions, less discomfort and shorter hospitals stays. Transoral robotic surgery is a minimally invasive surgical approach that uses the da Vinci® Surgical System to treat tumors of the head and neck.